The Esprit V comes equipped with twin WHHB humbuckers and a Vari-Coil control. There's a range of tone to explore with the bass and to top it off, the guitar has an unconventional style and comes in a Gloss Black colour. The Esprit V is built with a long tenon set-neck construction. A three-piece centre block agathis body is combined with a fast-playing maple neck with rosewood fingerboard and the guitar features a direct mount Tune-O-Matic bridge. All this help give the Esprit V its great tone. 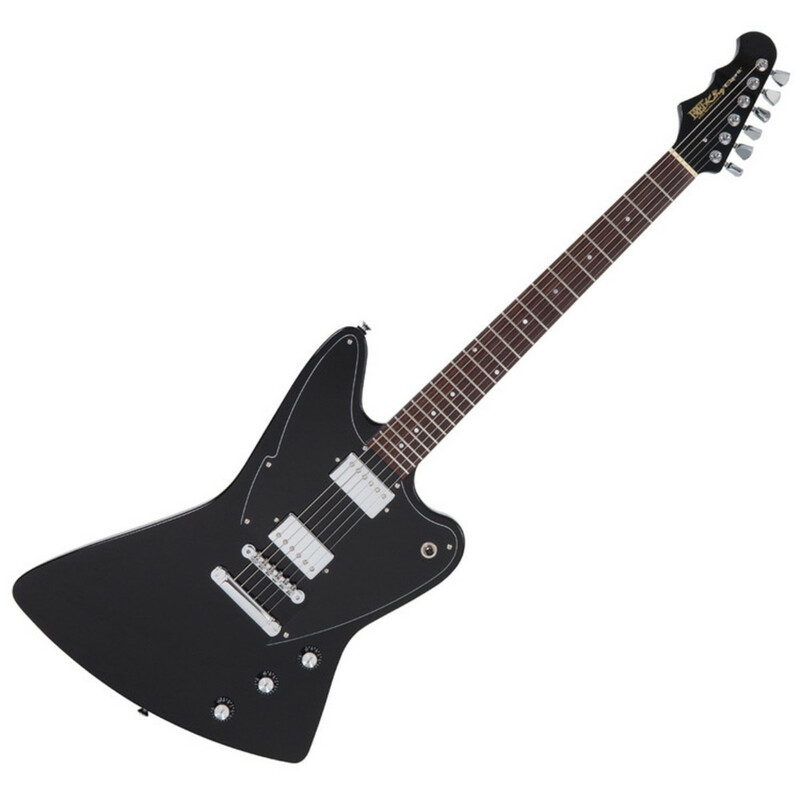 Furthermore, this guitar comes in a Gloss Black colour.